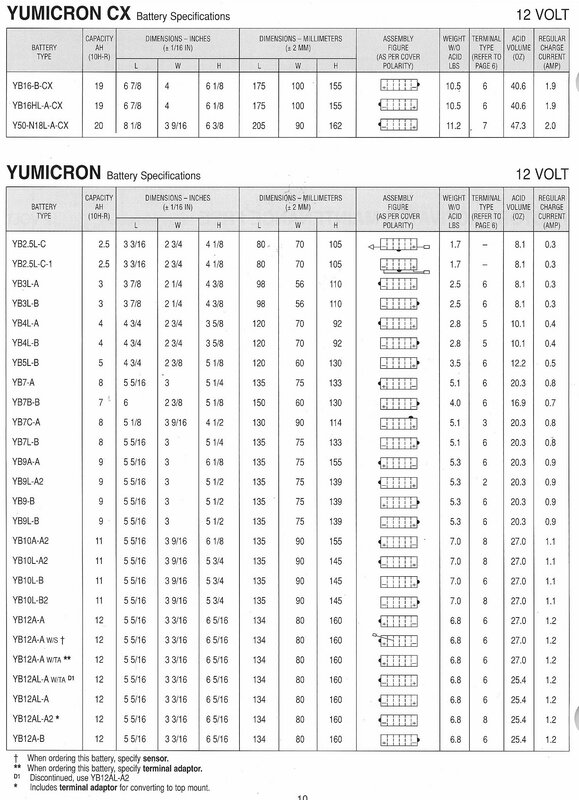 Volts, Amps and Watts: The number after “6N” means the amp-hours. 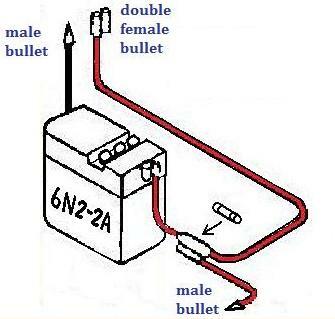 A 6N2 will deliver 2 amps (6 volts times 2 amps equals 12 watts) for 1 hour. 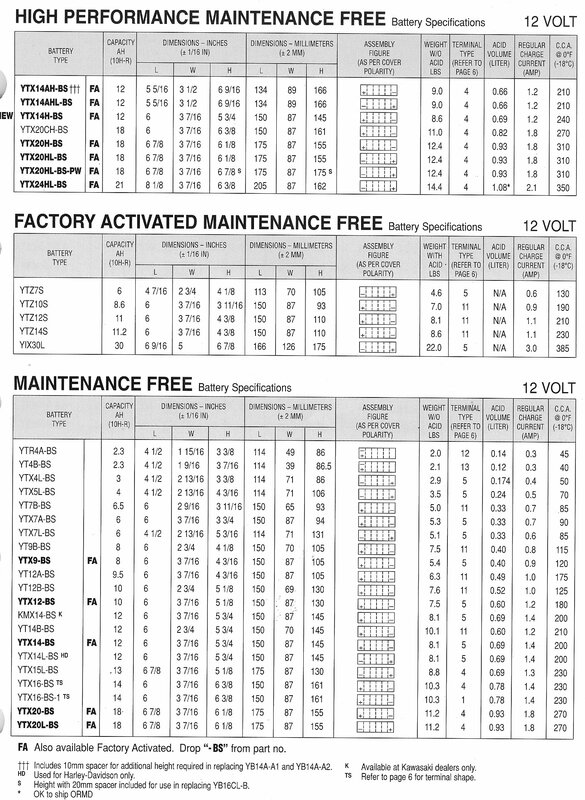 A 6N4 will deliver 4 amps (6 volts times 4 amps equals 24 watts) for 1 hour, or 1 amp for 4 hours. 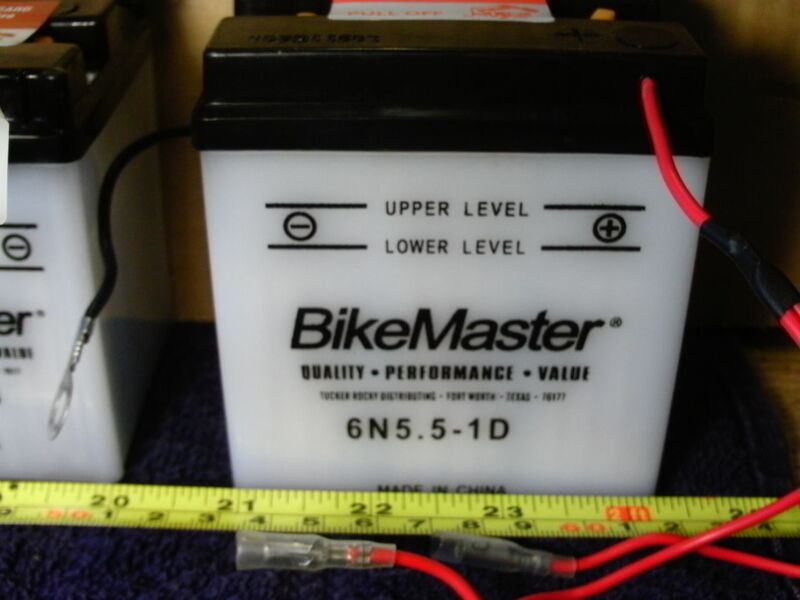 The bigger the battery is, the more amp hours it can produce, and the more watt-hours of energy it can store. 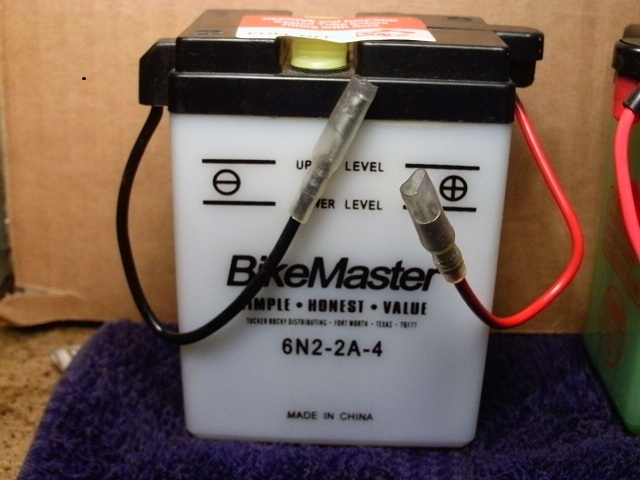 Battery Acid: The batteries that say “without acid” are sold dry and sealed, for freshness and maximum strength. 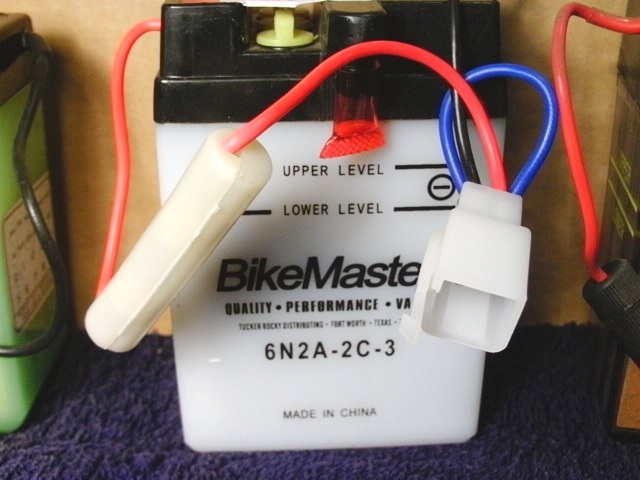 Battery acid must be added before use, but it is not included with the battery. 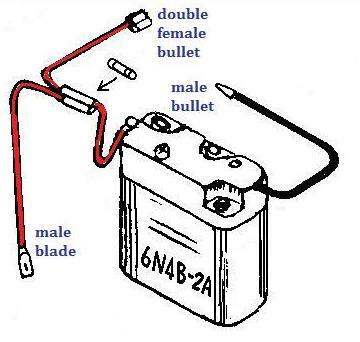 It’s sold in auto parts stores. 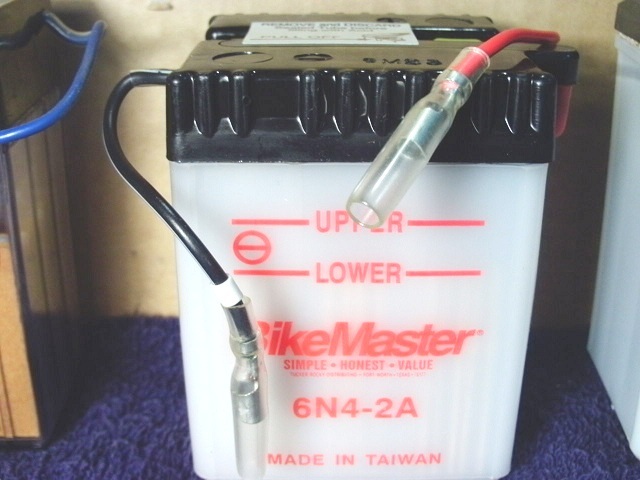 Walk-in customers get the battery filled at the time of sale for $5 more. 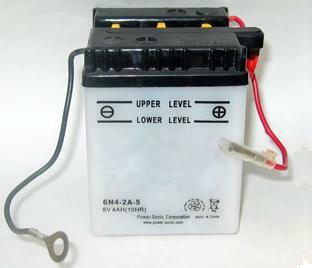 Battery Charging: All lead acid batteries need to be kept charged, at least every 2-3 months, or they will become weaker and weaker with age. 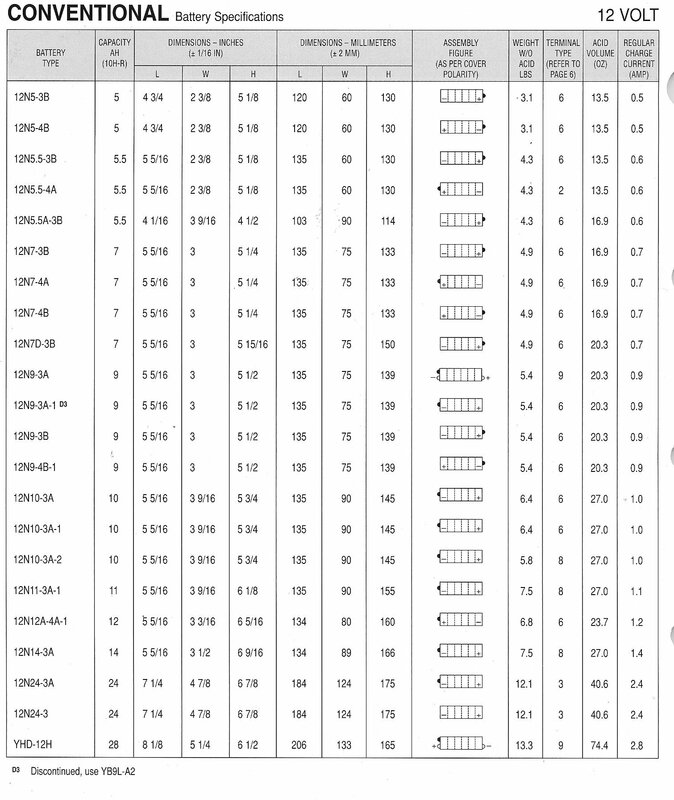 After 2 years of sitting they are less than 25% of their original strength. 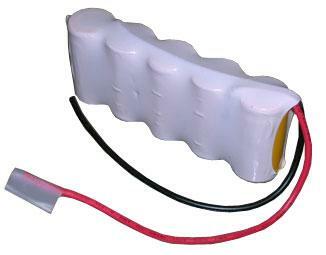 That’s why these batteries are sold dry. 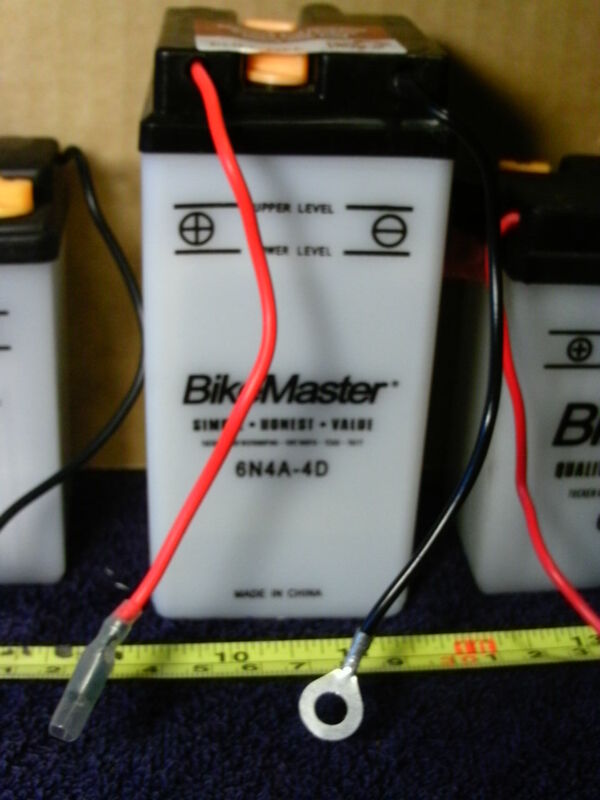 For a lead acid battery, life begins at the moment the electrolyte (dilute sulfuric acid) is added. 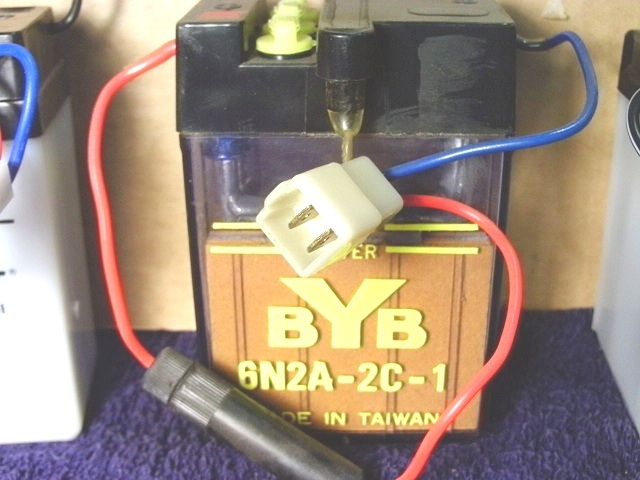 Read the instructions with each battery. Wear eye and skin protection. Use baking soda to neutralize spills. 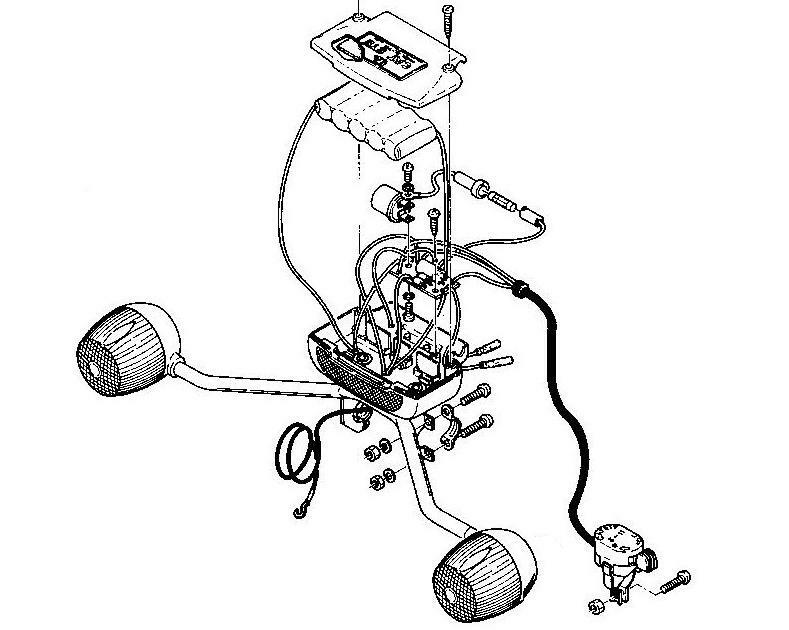 Emphasis is on small motorcycles, scooters, and mopeds, especially older or less well known kinds. 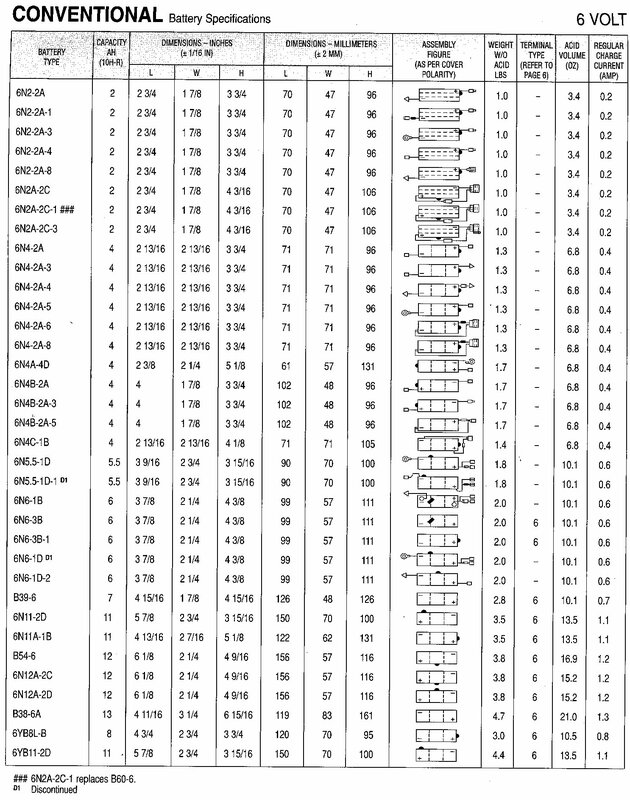 All of these are for-sale-in-USA models, unless noted. 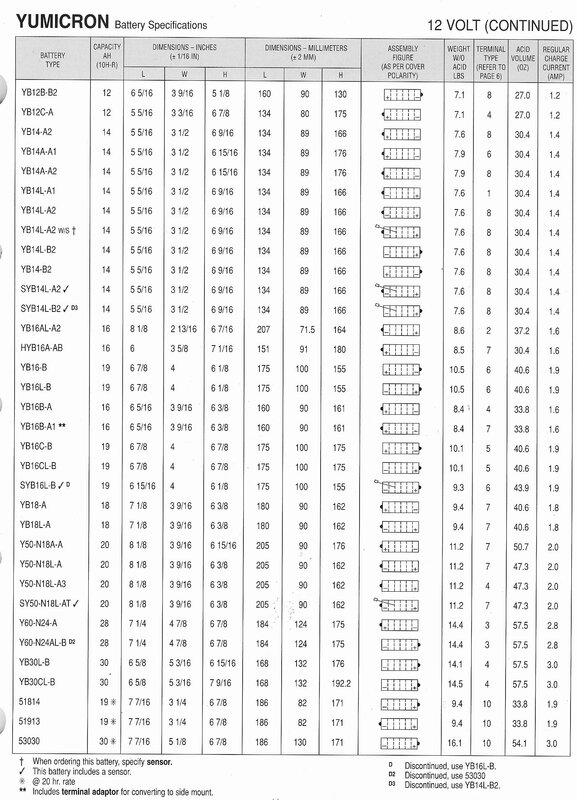 Mostly from Yuasa battery charts. Cateye 5-pack of vintage-size C-cell NiCads 5.5V n.a. 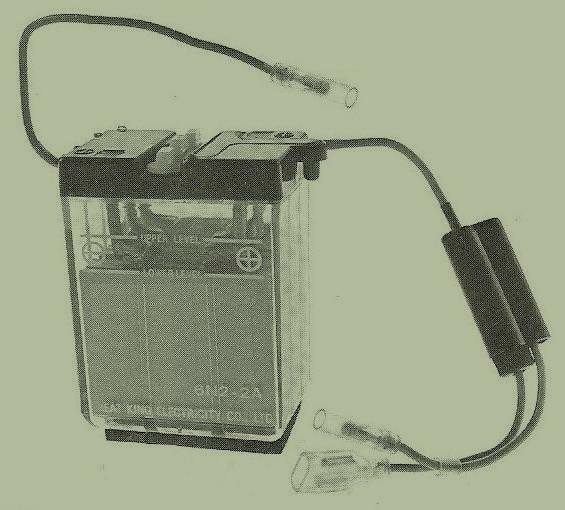 These turn signal kits were a popular accessory on 70’s mopeds. But there was not any extra electricity so they were not too bright. 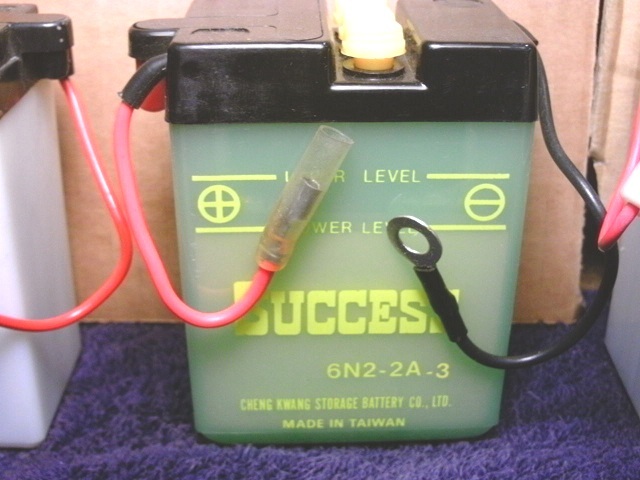 All of the NOS batteries, made in 1980, have become weak or dead. 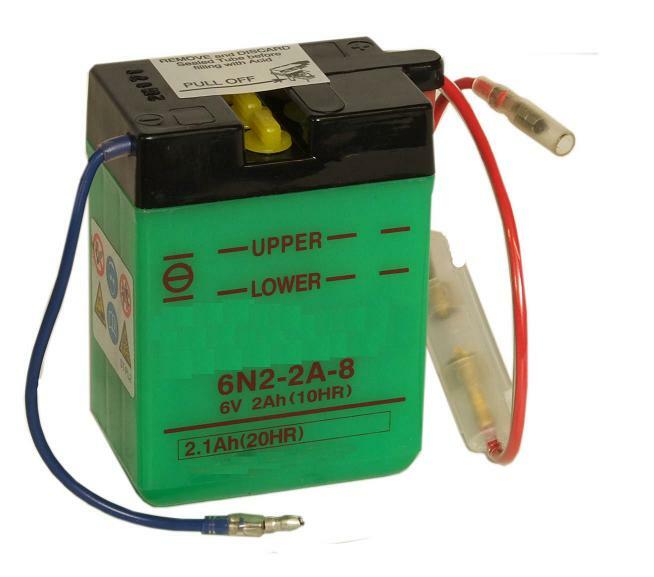 Modern C-cell NiCad batteries are wider, and do not fit in the box. 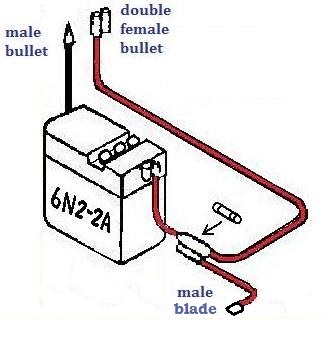 They can be soldered in series, and mounted on top, or elsewhere. 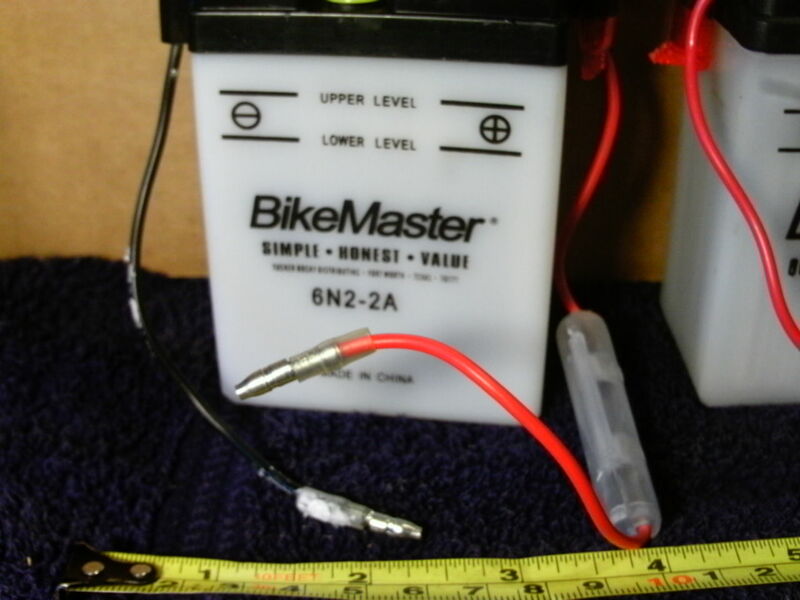 A 12V sealed battery (maintenance free) with an acid 6-pack. It’s easy to add the acid, to “activate” it. Then it must be kept charged, about every 2 months, or put in use. 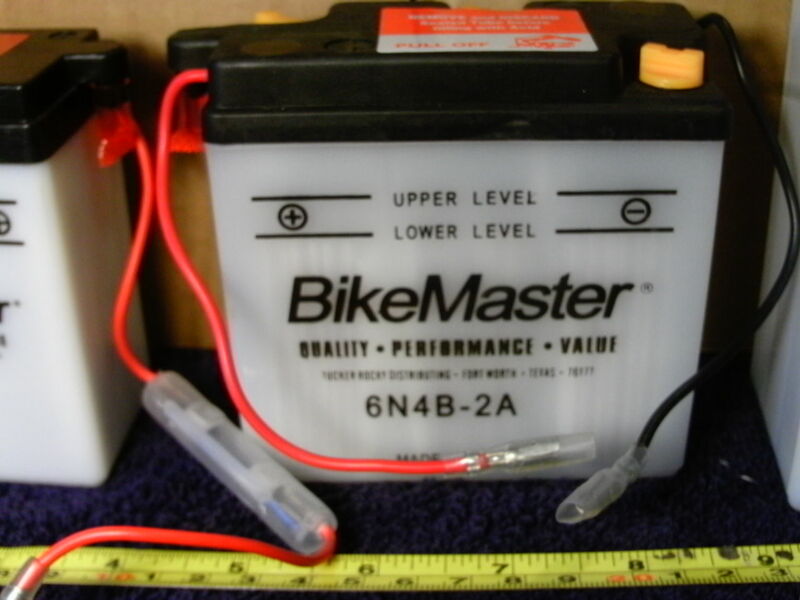 You are currently browsing the archives for the Batteries category.